By Patti A. Wood, M.A. QUESTION -What does pointing mean? It’s a really potent gesture of power, a symbolic weapon. When you make a fist and thrust your finger, you are symbolically shooting someone. 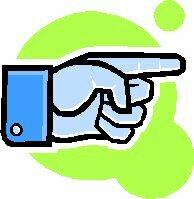 QUESTION-When you see someone pointing their finger, does it mean they are lying? Absolutely not, the average Joe would never do that, In fact, when I teach law enforcement officers, I say it can be a sign someone’s telling the truth because they are passionately defending themselves. But certain ego types do use it. I see it used by powerful men who are used to getting their way and have lied successfully in the past. They use a finger pointing gesture when they are cornered to defend themselves by using it as a counterattack. A different version is used by speakers to show conviction of thought. Also, it’s typically not women who do this, as there is a gender component as well. QUESTION What about Rafael Palmeiro in front of Congress in March 2005? He was pointing his finger a lot. He had a prepared response. Detecting deception in a scripted speech is tricky because you lose the spontaneity advantage which is critical in reading someone’s body language. But I think he is lying because his timing is off. When you are telling the truth, you feel it in your heart, you show it with your gesture and then you say it. Feel, show, say. He said, “I never” and then he slowly raised his finger making it looked staged. 1. He said, “I never had,” rather than the more natural contraction, “I didn’t.” Liars like to emphasize the not or never. 2. His finger is crooked rather than straight showing a lack of his own conviction. 3. He is pointing one way and looking another, which is a lack of congruence in his thoughts and actions. 4. He depersonalized Monica by saying, “she,” than self-correcting to say Monica’s name. George Bush, the Senior Bush, uses a politically coached version of the gesture to emphasize his conviction. Notice that he will point up to heaven rather than out. And any movement matches the cadence of his words. His pointed finger went down and his volume faded out which also showed he was lying and lacked conviction in his words. He didn’t use it on the “I’m not a crook” statement; he used it to say he never made money in office. He had scary body language in his interview with Connie Chung in 2001. 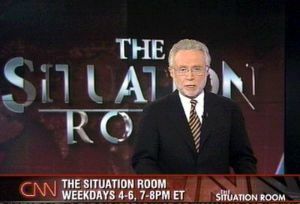 I counted over forty deception cues in this famous interview. He shows his anger by not only shooting Connie Chung but slicing her in a sword gesture and symbolically strangling her. Please share this article with others. 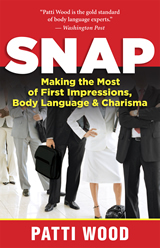 Visit Patti’s Web site at www.pattiwood.net to see articles about body language and especially the article “How To Spot a Liar”.